Reliable and user friendly, these custom-tailored press controls have open architecture versus canned, closed-architecture systems. 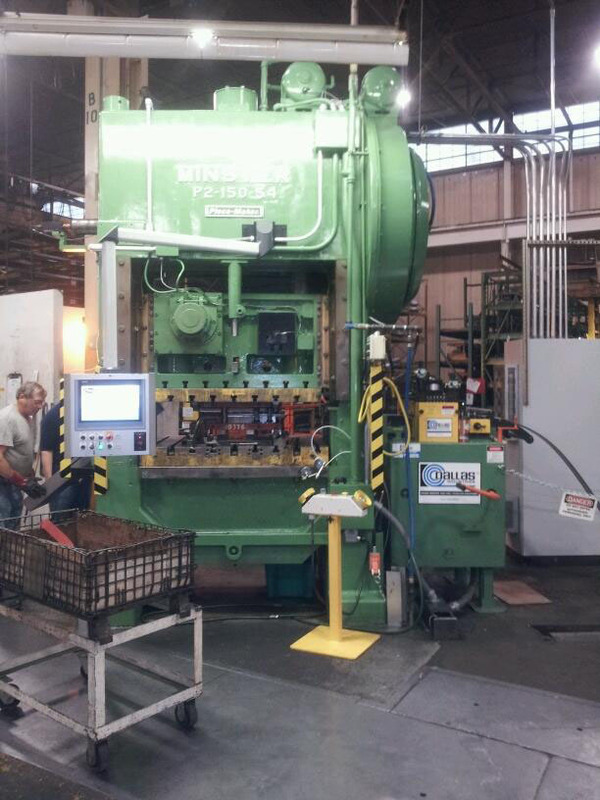 Each is designed to fit your application including hydraulic and mechanical presses. 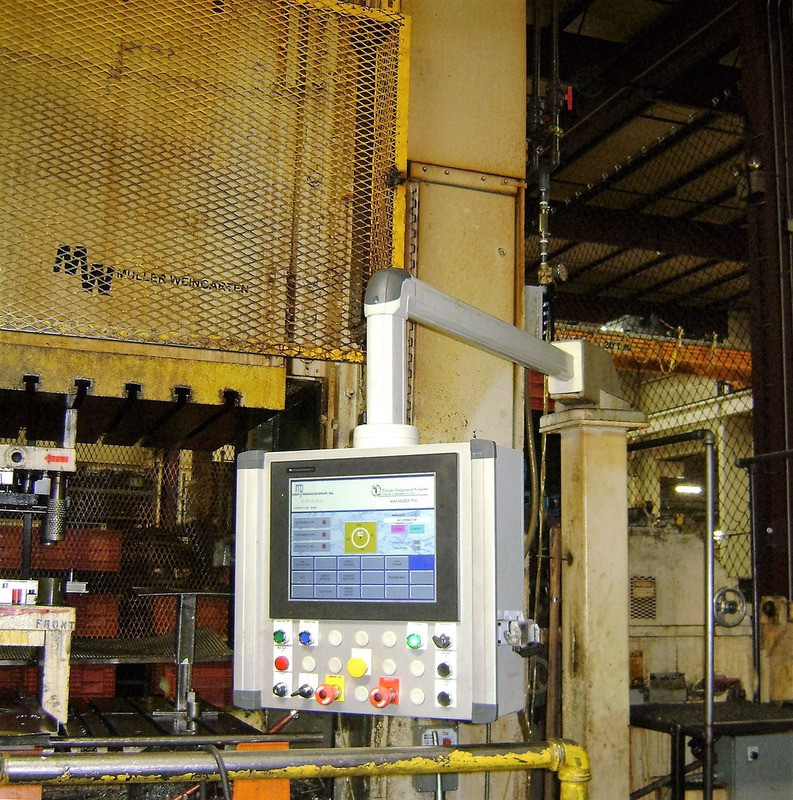 Servo press process control and automation solutions are also available including servo, feedlines, transfer systems and robotics; as well as your budget and level of automation. 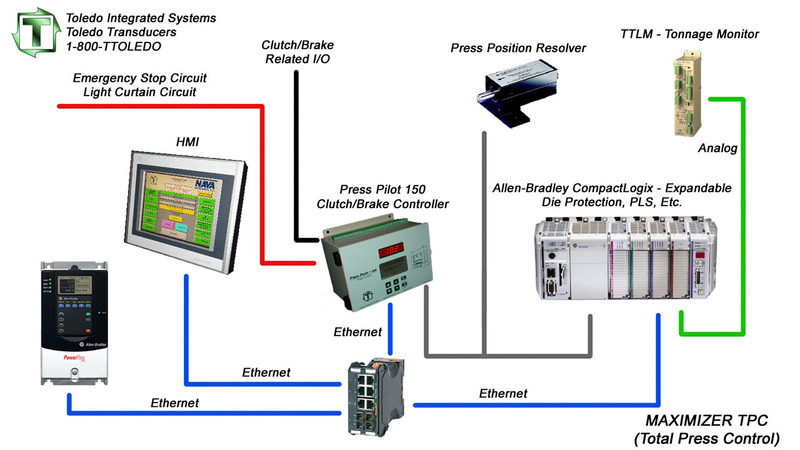 Maintenance is made easy with off-the- shelf components for Allen-Bradley PLC and HMI products as well as other PLC-based solutions like Siemens and Mitsubishi. 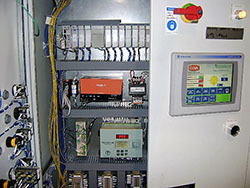 Siemens hardware combines with unique design to integrate motor control and press line equipment. Expandable and customizable. 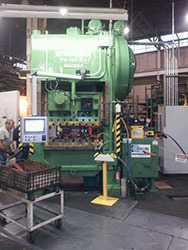 Can replace hydraulic controls for improved functionality or safety updates. Available in standard or custom designs. 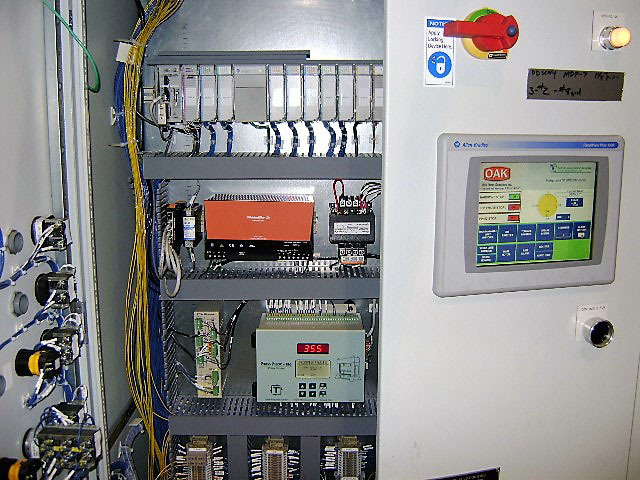 Basic and fully integrated line control solutions are available in standard or custom packages engineered for individual requirements. Two and four channel tonnage monitors are available along with production and downtime networking software.